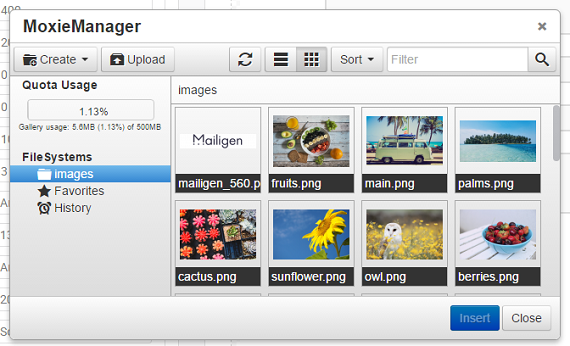 The Image Manager is a powerful built-in tool that enables you to easily manage and insert images into your forms and emails. Click one of the Add Image Links for the logo, header, footer, or background, or button. This will open the Image Manager. 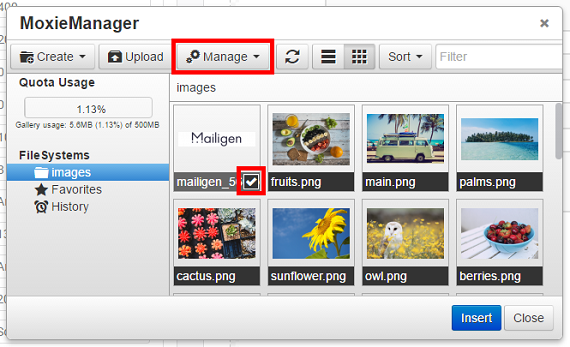 The image manager enables you to quickly and easily manage images that you will use for different signup forms in our platform. The primary function is selecting an image by clicking on it. You can take additional image actions by clicking on the Up Arrow Icon at the bottom of each image. View images you have favorited by clicking on the Favorites Link. View the history of images you have used by clicking on the History Link. You can also choose to sort the list as Thumbnails (small versions of the pictures) or as a text list by selecting the appropriate option from the View Mode Drop down. Crop—drag your mouse across the image to create a crop area. Use the resize handles (the small squares on the crop region) to size and place the crop area to fit exactly the part of the image that you want to crop to. Alternatively, you can enter values in the Top, Left, Width, and Height fields to specify the crop area. Click the Constrain Proportions Checkbox to make the crop area resize proportionally between height and width. Finally, click the Apply Icon to commit the changes or the Cancel Icon to cancel the crop area. Resize—click the Resize Icon to resize handles on your image. Click and hold on a resize handle to change the size. 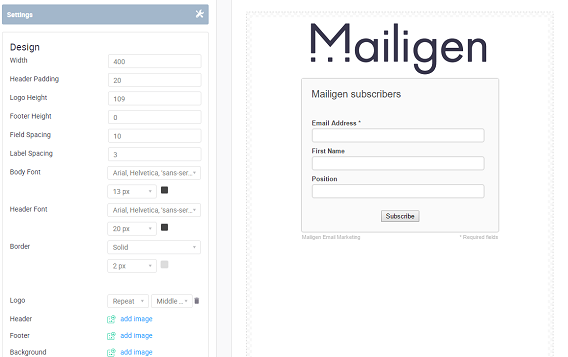 Alternatively, you can enter values in the Width and Height text boxes to specify an image height. Click the Constrain Proportions Checkbox to make the image size proportionally between height and width (this will keep it from looking squashed). Finally, click the Apply Icon to commit the changes or the Cancel Icon to cancel the resize. Flip—click the Flip Icon to flip the image either horizontally or vertically. Click the Apply Icon to commit the changes or the Cancel Icon to cancel the flip. Rotate—click the Rotate Icon to rotate the image 90, 180, or 270 degrees clockwise. Click the Apply Icon to commit the changes or the Cancel Icon to cancel the rotation. When you are finished making changes to the image, click the Save Icon to keep the changes or the Revert Icon to revert the image back to its original state. Note: You can also click the Close X in the upper right corner to disregard all changes and return to the Image Manager.